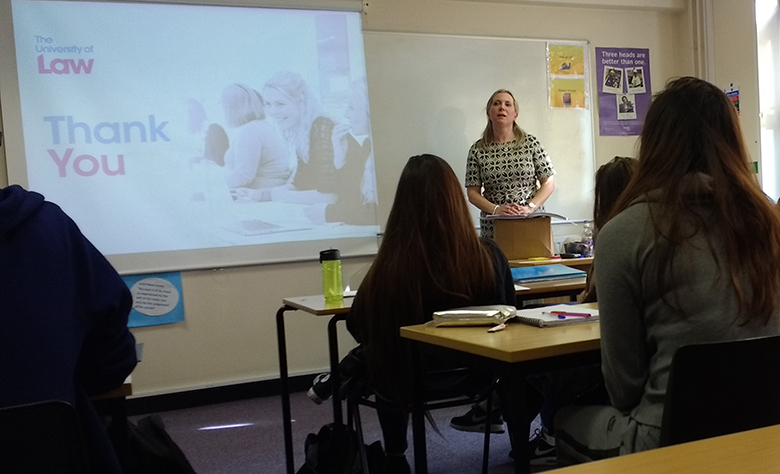 Law students at The Sixth Form College, Solihull explored the theme of the law in relation to medical negligence this week, thanks to a masterclass from the University of Law. In a series of workshops in College, all 150 second year A level Law students participated in an interactive session, revising the Law and applying it to cases. Approximately 50% of A level Law students from the College go on to do a Law degree at university with several going to study at the University of Law in Birmingham. In addition to this association with the University of Law, the College also operates a Law Academy, which runs in association with Aston University. Law students who join the academy get the opportunity to research and present their findings on a fictitious case study and get advice on applying to study Law at university.